131 Water Social House is located in the midst of Gastown on beautiful Water Street. The store itself is quite small, but I think there are additional tables upstairs. 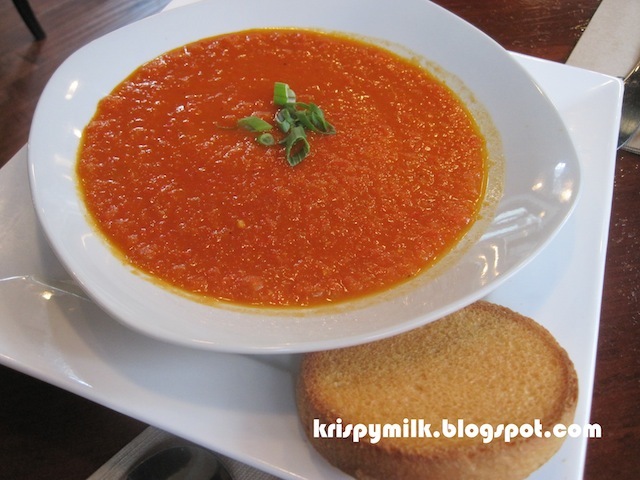 I ordered the chef's soup ($5) which was a tomato cream soup. It was barely warm and tasted really sour. The biscuit served with the soup was bland and dry. 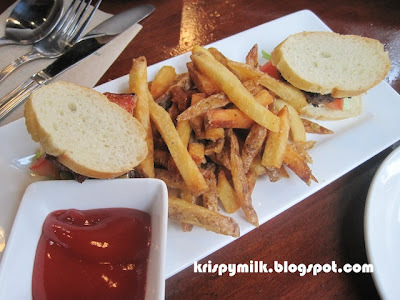 The 131 sliders ($8) were made with toasted baguette instead of typical burger buns. The beef was ground chuck and was quite juicy. There were also tomatoes, cheese, bacon and sauteed mushrooms inside. I thought the sliders were pretty good, but did not like the hand cut fries that came with them. The fries were really dry and tasted overcooked, although they didn't look burnt. They were cut into overly thin pieces and were much crispier than I would have liked. 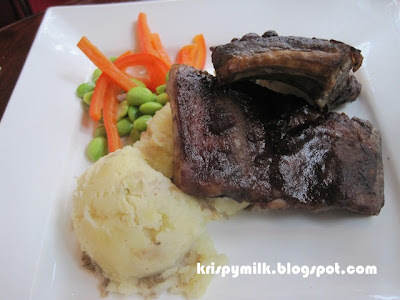 I also tried the blueberry barbecued ribs ($14) which was braised pork ribs in blueberry BBQ sauce. It came with a scoop of mashed potato, edamame, and a few thin strips of red pepper. The ribs tasted dry and overcooked just like the fries, and there was barely any sauce. I could not tell that it was blueberry sauce if it weren't for the few half dried-out blueberries stuck on the ribs. The mashed potato was the only good part of the dish as I found it rather tasty; at least it was moist. I can't say I liked my lunch here. The ambiance was ok and the service was fine, but the food was way below average. This is not a place I would revisit.